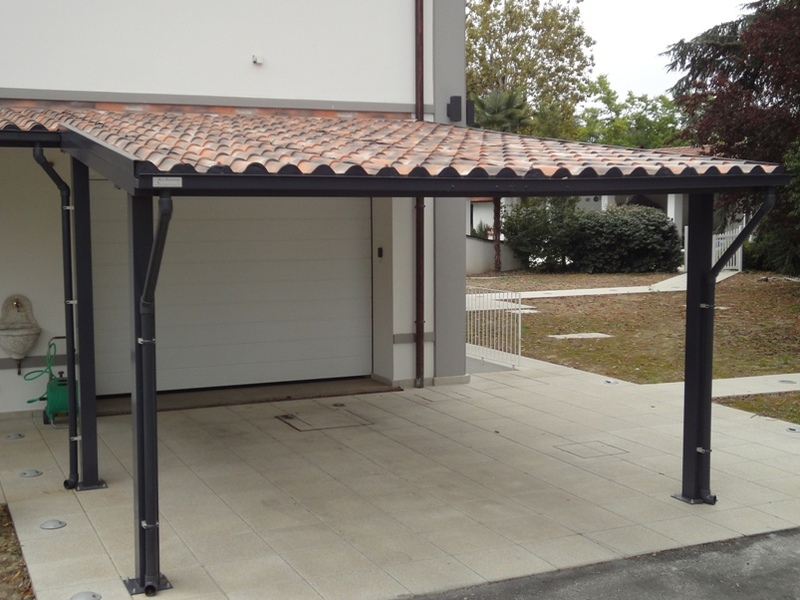 Our porches are composed of structures made of aluminum alloy and coverings of fake roof tiles or polycarbonate. 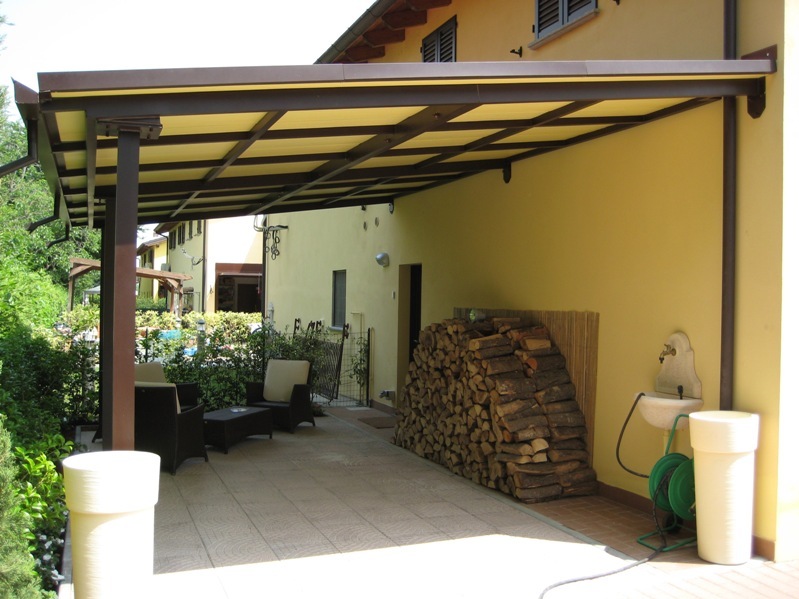 The aluminum frame provides strength, lightness and exceptional resistance to exploitation caused by the weather conditions. Therefore, it does not require any maintenance. The fake roof tiles are caulked and can be manufactured with a natural or old-looking color. 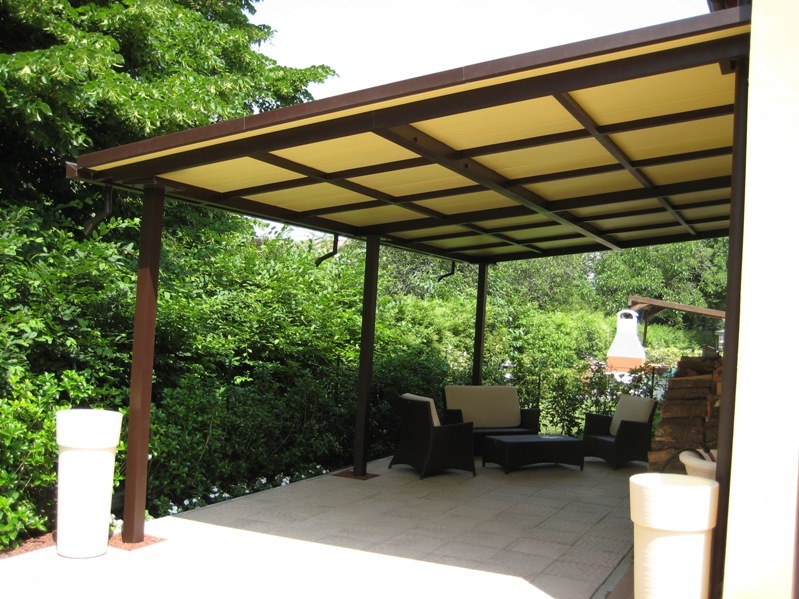 The polycarbonate roof can be compact transparent, bronze or opal white, or honeycomb. The porches are custom made according to all needs and adaptable to any pre-existing situation. 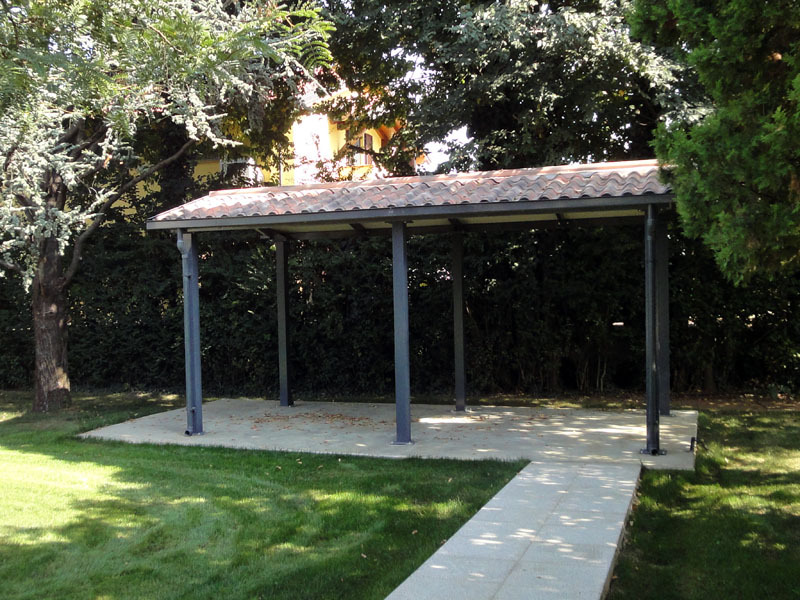 The structure can be painted in any RAL color, in order to integrate better with any kind of environment. We can also provide transport service assembly on request.